The Porto 400 is a beautiful cassette fire which will add style and elegance to your home. The Porto 400 is equipped with the latest cleanburn technology ensuring you get maximum efficiency from your fire. 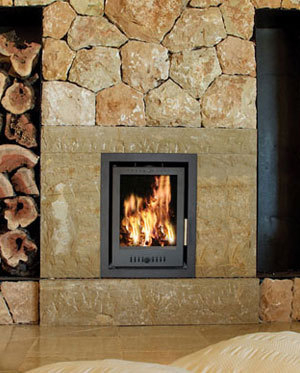 The Porto 400 is designed to fit into a standard 22'' fireplace opening and is also suitable for passive houses. The Porto 400 has the highest energy class rating which means this fire is energy efficient and beneficial to the environment. The Porto 400 is available in a matt black finish and with a removable 3 or 4 sided frame.